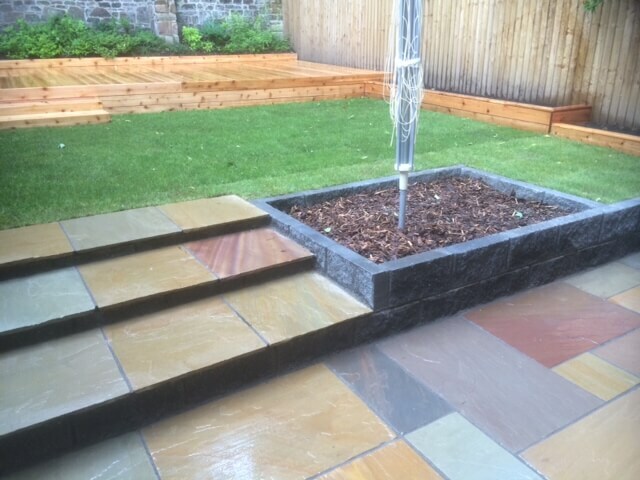 Here at J&L Landscapes, we ensure a professional landscaping service throughout all of our jobs and there is no exception with our garden decking work. We have an extensive portfolio of successful projects like decking Liverpool and other areas including, Warrington, Cheshire and Wigan. 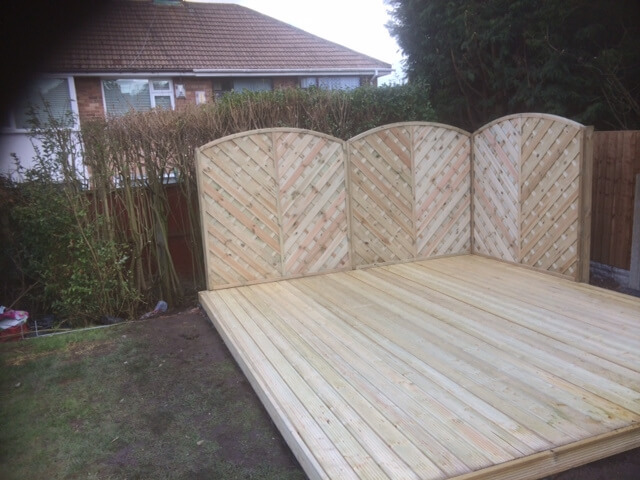 Based within Liverpool, J&L Landscapes have become known for their professional service completing a number of Liverpool decking jobs of which are often part of our contracted landscaping service that includes other services such as Landscaping, Driveways, Paving, Fencing and general Gardening services. J&L Landscapes offer many different styles of decking Liverpool, tackling any request that is put to us. We have installed all different types of decking with a wide variety of different finishes and are very happy to install anything you are interested in including softwood and hardwood decking boards, composite decking, metal decking, pressure treated decking and more. Have a look at a few of our completed projects below. If you really want to make the most of your decking once installed, why not compliment the look with some decking lights or some nice furniture. If you need decking in Liverpool or anywhere in the Merseyside area, please get in touch and we will be very happy to give you a quote. Here we installed Decking with a screen made up of matching panels to create a private seating area for the client.